Yesterday I actually found something worth a fashionista's time in the Miley Cyrus section at Walmart:) The accessories...I LOVED the sunglasses! 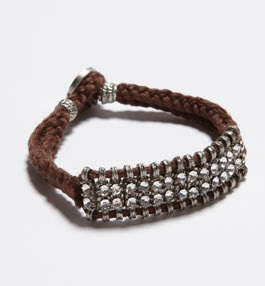 I can't remember where I heard that this style is going to be BIG this spring...but, for $6 I didn't care, I liked them:) I also liked the $1 friendship style bracelets that are fun to layer this summer. Everyone is doing cosmetics...what do you think?? I've noticed everyone is doing cosmetics and I am not sure yet how to react...are they really going to be "quality"...or will they just have the name stamped on them? Does the GAP still carry cosmetics? I wasn't sure if I shared with everyone that I am an ALPHA Shopper for Lucky Magazine:) I am really excited about this adventure with the magazine! A couple of weeks ago, I received a package from the mag with 2 COVERGIRL Outlast Lipstain's to try out. 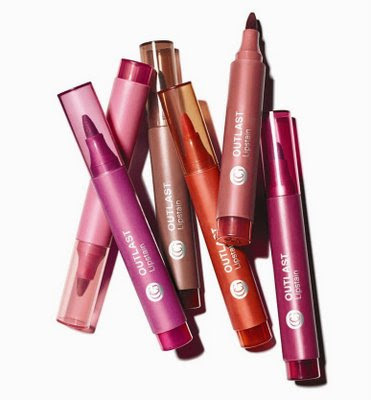 Now, I am usually a lipgloss girl---I have over 50...I haven't counted since the time I had over 100 and the airline lost all of my coveted lipglosses, but you get the point...I like lipgloss:). Nicole Richie is on top of her fashion game! Some stars try to jump into the fashion world and I think it is all wrong...kind of like Lindsay Lohan or Miley Cyrus no offense. 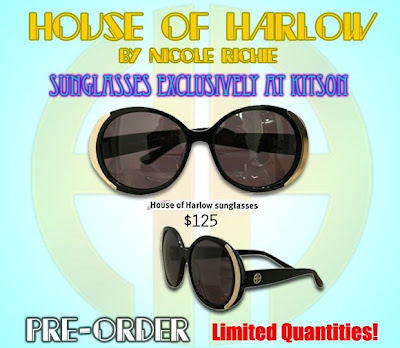 But, Nicole Richie has taken off with her House of Harlow 1960 line, starting small with jewelry that are at amazing prices and now expanding to shades that are oh so chic I would pay the $125 for them knowing they will stay with me for a while! 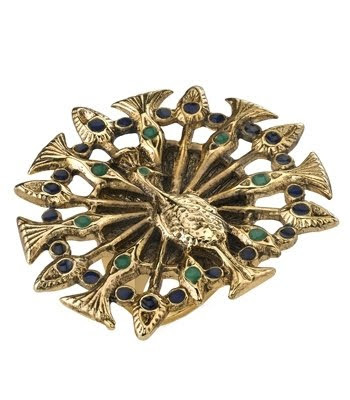 I had to share this peacock ring I NEED too:) Only $48!!! I guess I just can't over my initials or something:)LOL...while working on my taxes in my office I came across a magazine clipping that looks like it is from a holiday issue of Bazaar...The article featured personalized gift ideas that must have caught my eye and one of the items was a bag by a company called iomoi. Today was my first time venturing onto the site and I am in LOVE! Not only do they have monogrammed items, but there are elephants GALORE (which I LOVE!) 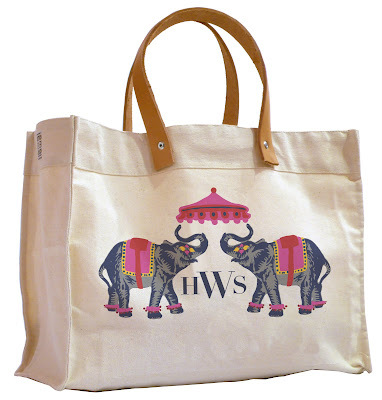 I have to have the elephant tote with leather handles now! It's a must for any weekend or market trip! 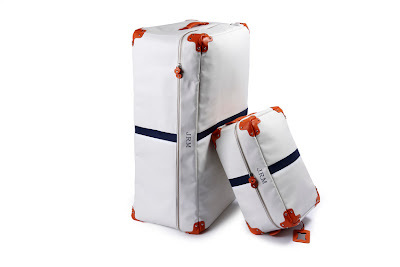 The bags are $78 for a small and $135 for a large. I can't wait to own one! The entire site has AMAZING personalized gift ideas at great prices! 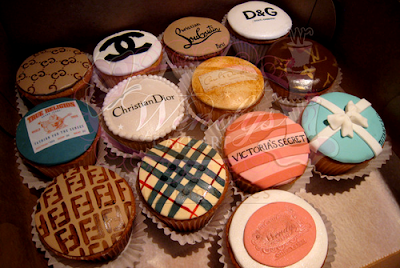 Start expecting these as gifts friends and family! I am officially addicted to this brand! :) They are on Facebook, so make sure and fan them! 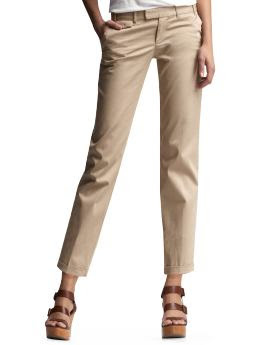 Net-a-Porter had a pair of Mui Mui cropped khaki trousers in this weeks magazine issue that caught my eye for $435 and I am excited to share that the GAP has a similar style for a mere, $49.50...you decide what works for you...but, be inspired by how Net-a-Porter styles the trousers in the magazine (2nd page)! There is still a chance for you to help those in Haiti...FashionAir is apart of this great project! Check out the video and see what you can buy for $25! Don't you just want to go shopping with these pieces that are at great prices? I was so excited when I was flipping through my March issue of Marie Claire and spotted a bag that looks like my coveted Goyard for a HUGE fraction of the price! 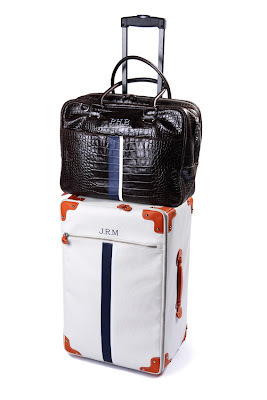 Goyards run for thousands and my new find by Jack Russell Malletier run from about $100-500! How could you say no??? 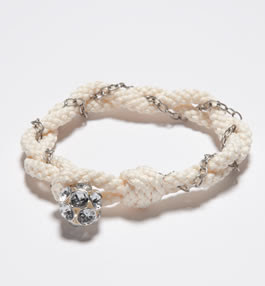 Plus, there are new spring styles that will be updated on the site soon! I have seen the spring catalog and it's worth checking back! 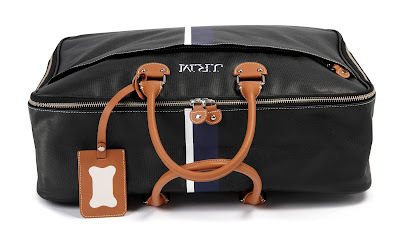 I really want the luggage! How chic!? This case is ONLY $195, I would carry it as a purse of course and for all of my readers, you get FREE SHIPPING! 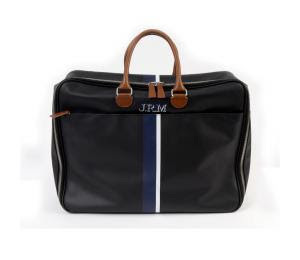 *In the spring, there will be an ivory version of the bag that I also love, but will probably get dirty easier...There are a variety of colors for the stripes: black coated canvas with natural (picture), red or taupe leather trim or in white body coated canvas and orange or red leather trim. For any questions about the brand or purchasing, contact: contact@jrmalletier.com. I have been wanting a Smythson notebook for ages (since, I LOVE notebooks anyway and these are the creme de la creme of notebooks:)...but, I just couldn't see spending $52 and ABOVE! What to do??? Well, I finally called the stores after not finding anything on eBay that really did much for a change in the price and the Smythson site doesn't seem to have a sale section. Fortunately, the stores in Beverly Hills and New York City do have sales! We just missed the sale after Christmas, but there is one around the corner in August and you can just call to order over the phone! 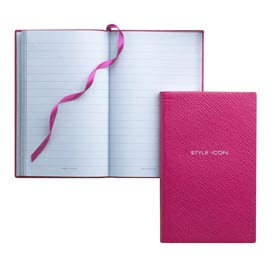 If you can't wait for the sale, Smythson has a FREE SHIPPING promo until the end of February. Just use, SOCIALFEB10. 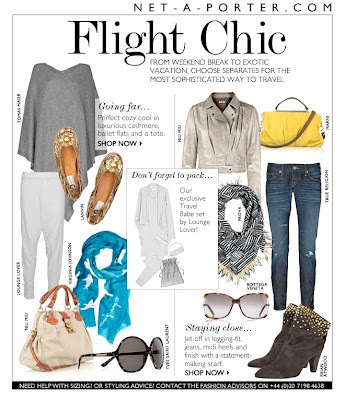 I love NY, I love FashionAir and I love Olivia's Style...so I had to share the most recent post from Fashion Air! I love her jacket from TopShop!! 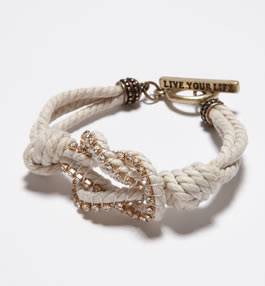 Check out the rest of the piece at www.fashionair.com! I am LIVING for LUCKY magazine right now! Check out the new app to virtually interact with each issue NOW! Plus, download Chic TV now for free to view fashion week! 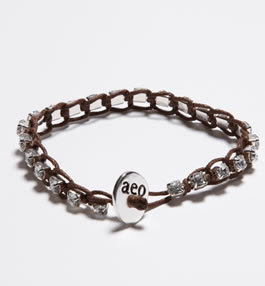 American Eagle Outfitters has AMAZING jewelry at AMAZING prices! 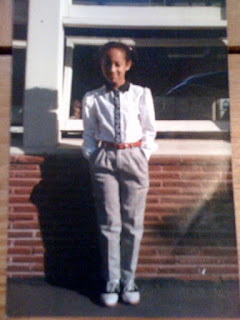 I still remember the Oxfords I had to have in the second grade that my mom HATED (I think they were from Payless:)! LOL, and now they are making a BIG, HUGE comeback! They started to trickle in last year, and now EVERYONE has them! 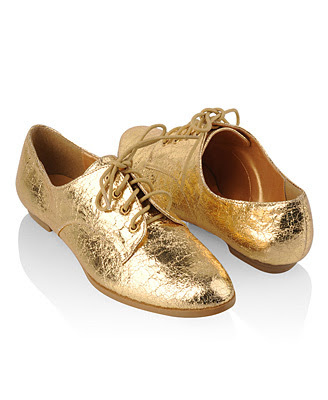 I can't wait till my mom buys a pair:) I can't wait to rock them with ankle trousers and chiffon dresses, but the options are endless! Here are some styles I am considering. 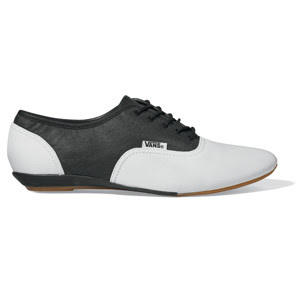 These take the look to a new level with an out there color:) But, they are ONLY $25! 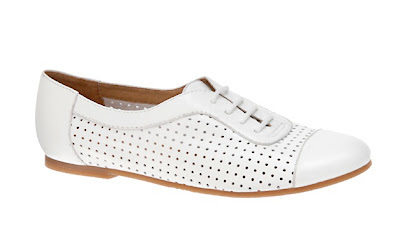 These give the classic style something new. 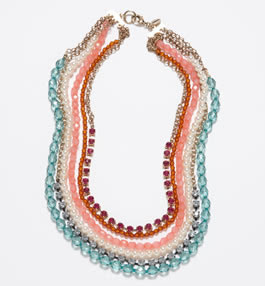 Only $60 and comes in 3 colors! I get these are so comfy! And, they are ONLY $55!